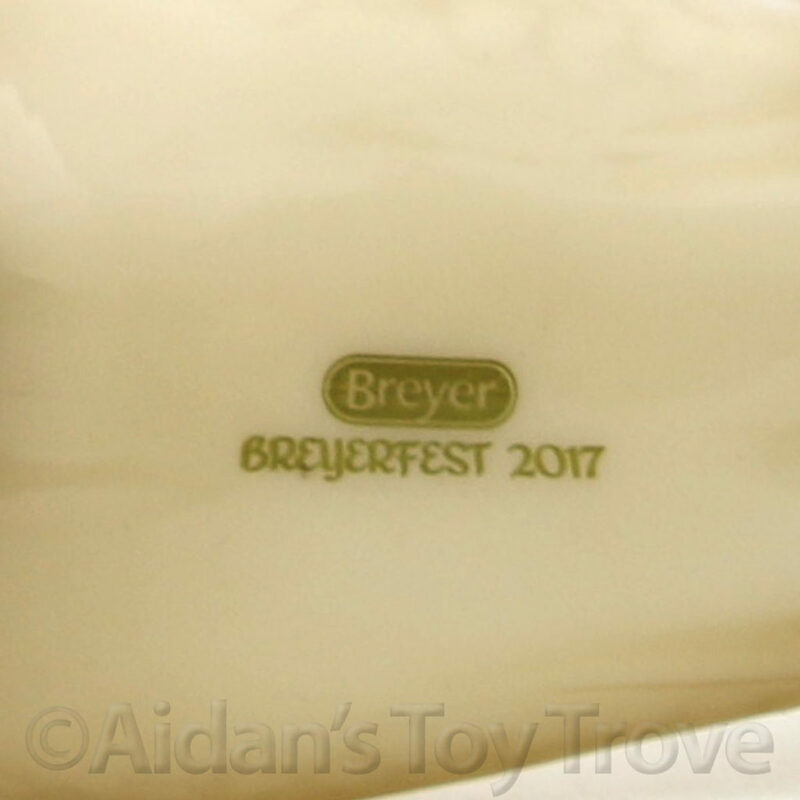 The Bollywood Surprise is stamped BreyerFest 2017 on his underbelly in gold ink. 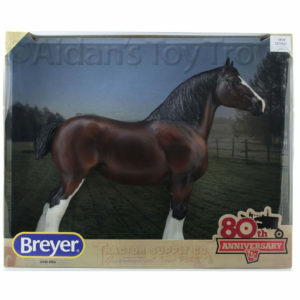 The Bollywood Surprise was the first to sell out in the BreyerFest Tent Line and is completely sold out from Breyer. 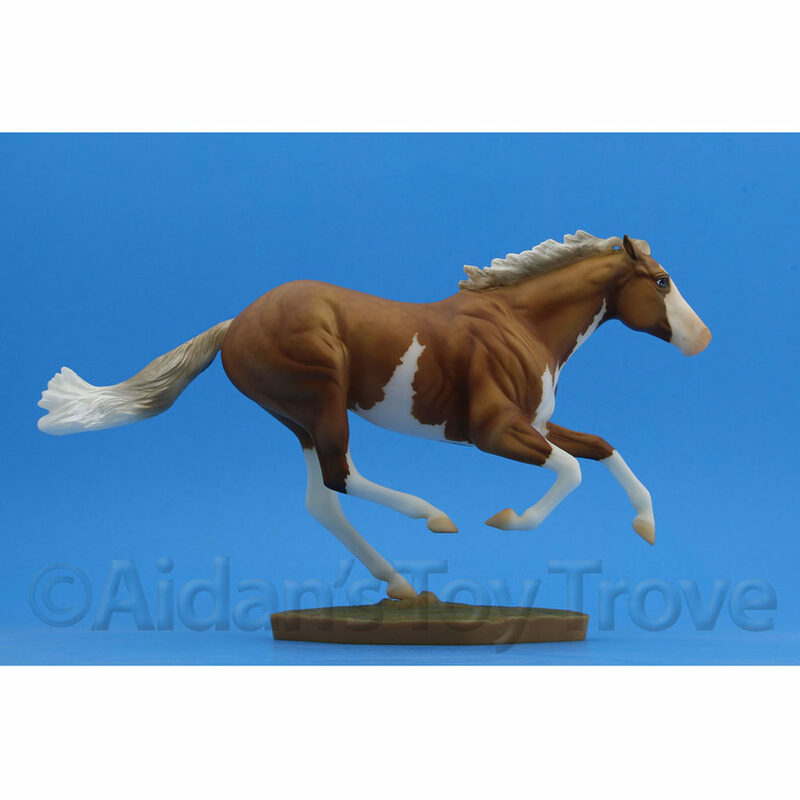 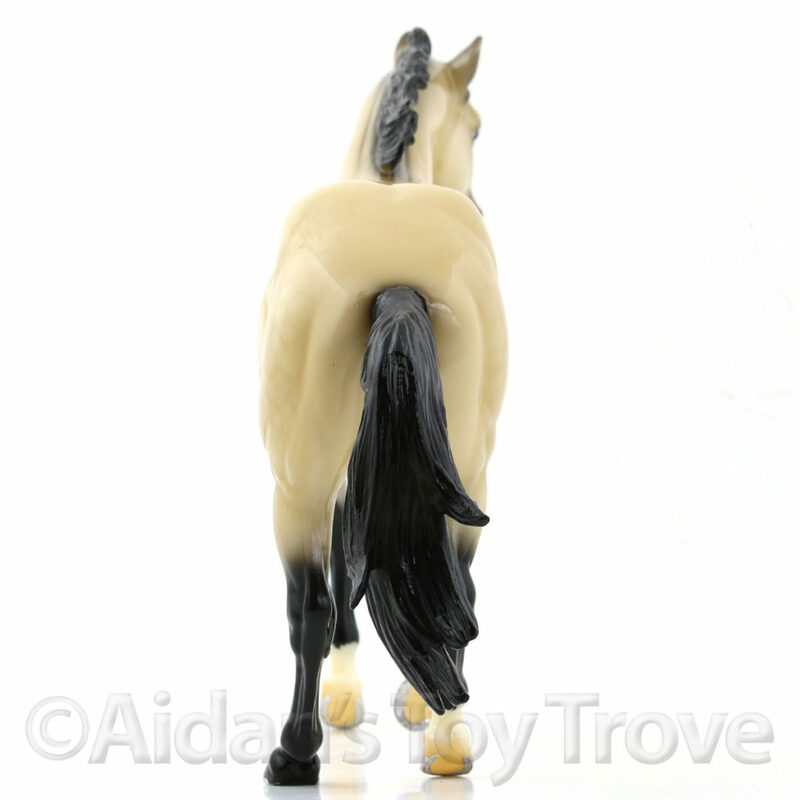 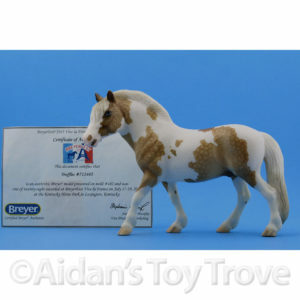 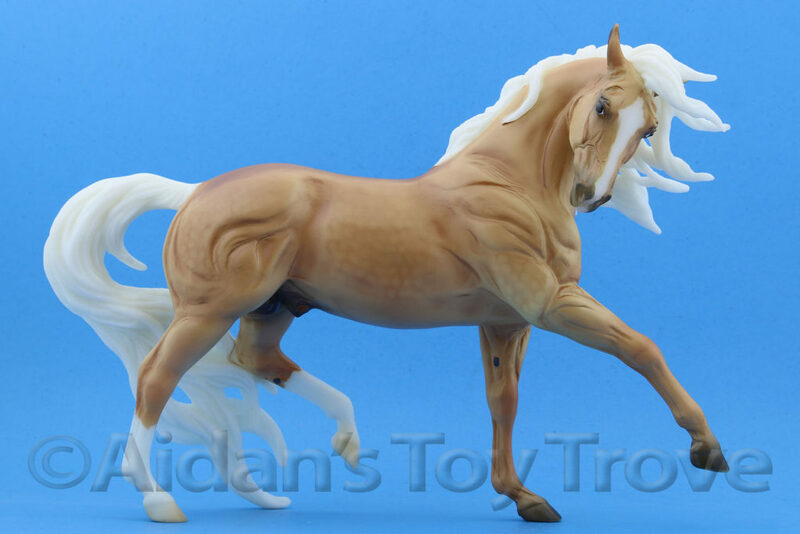 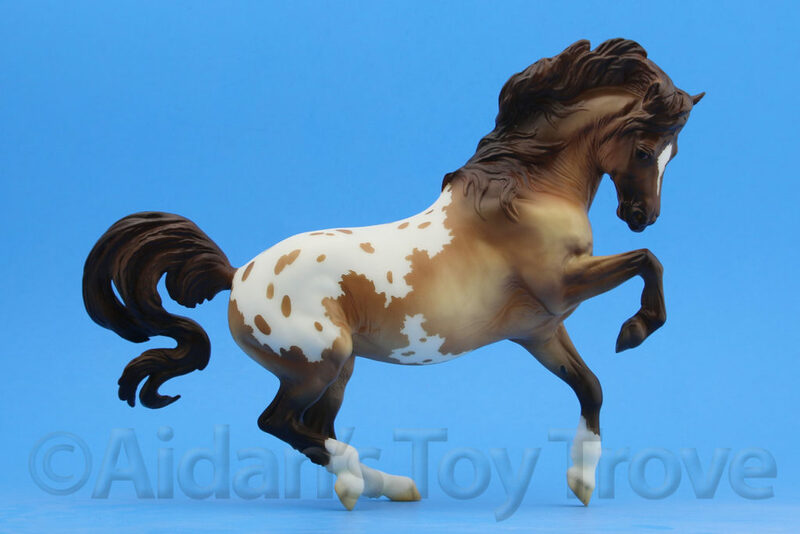 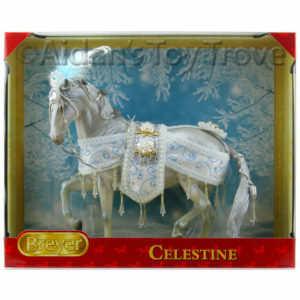 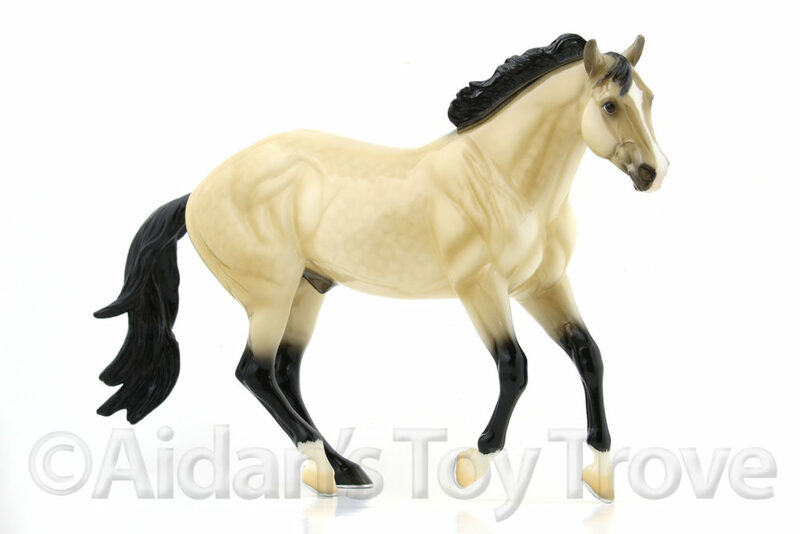 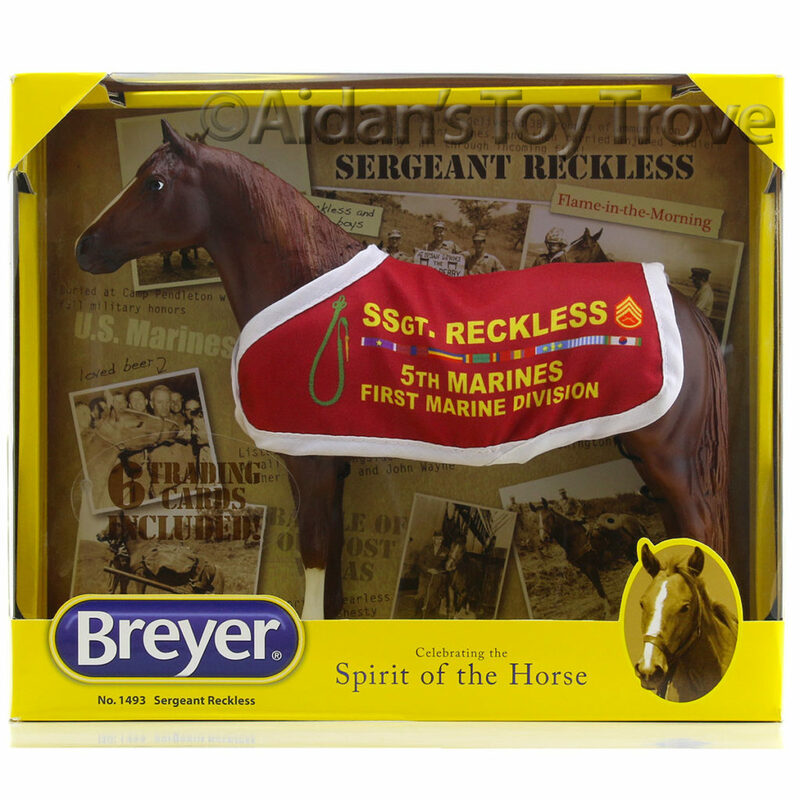 This listing is for the Breyer Bollywood Surprise Buckskin 711257 only. 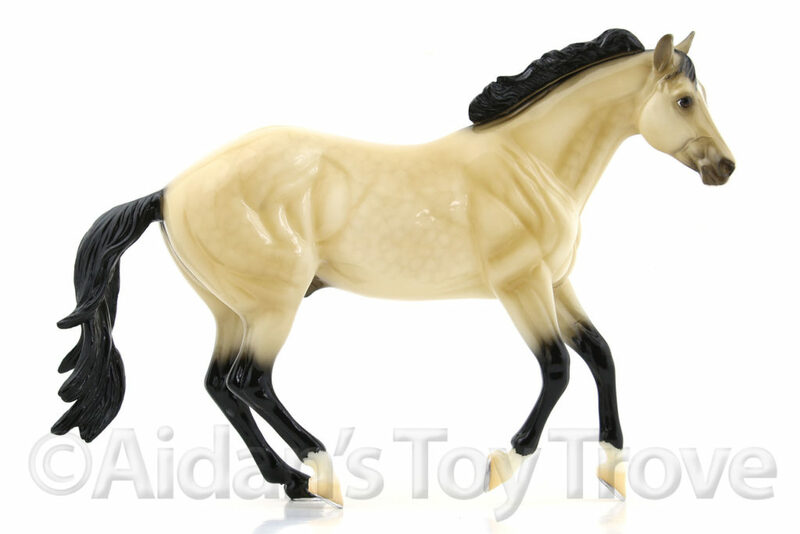 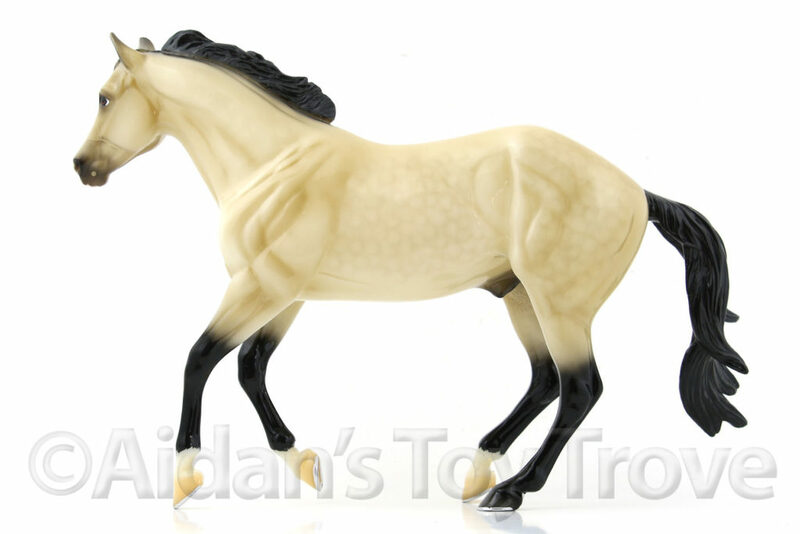 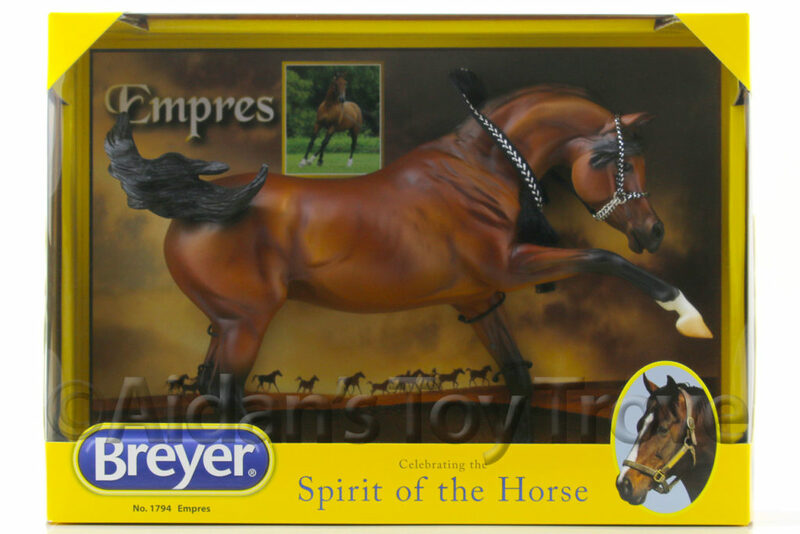 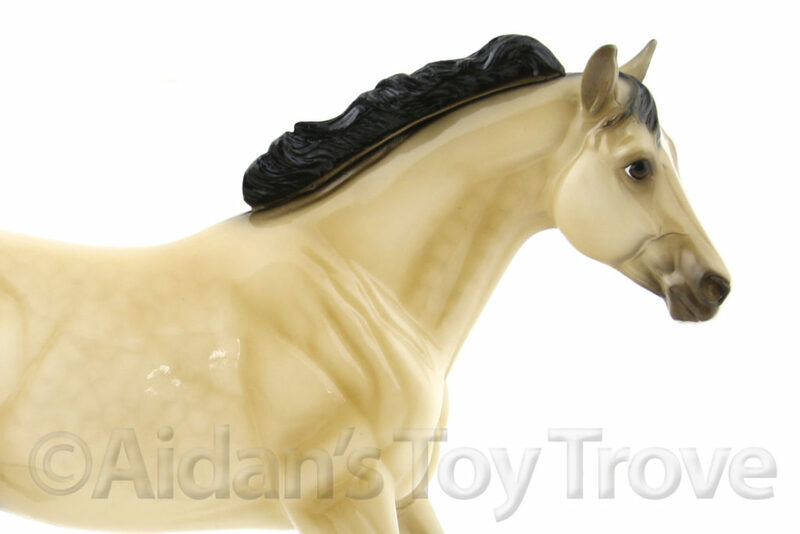 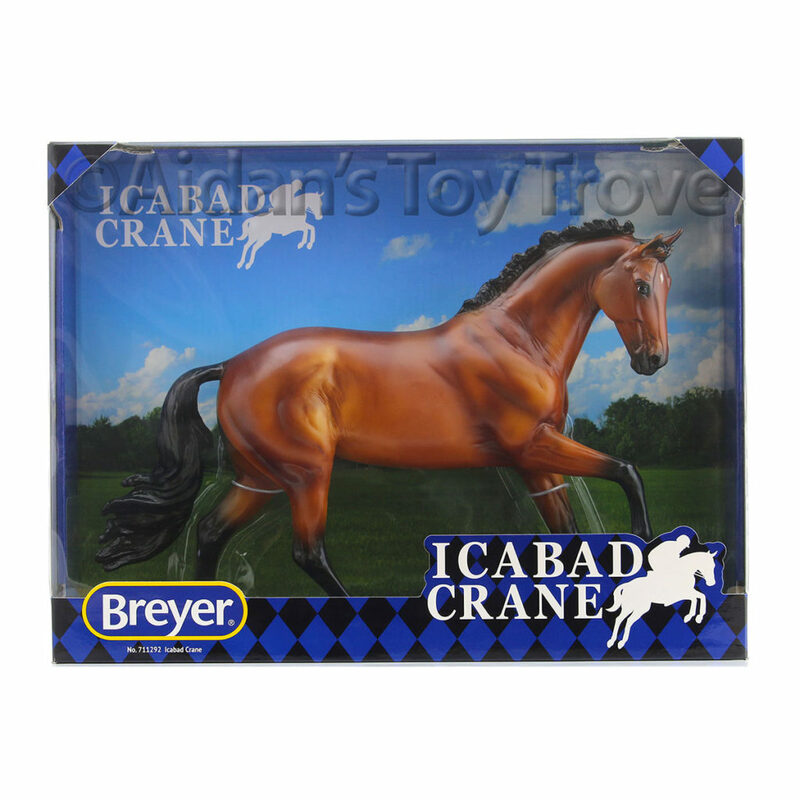 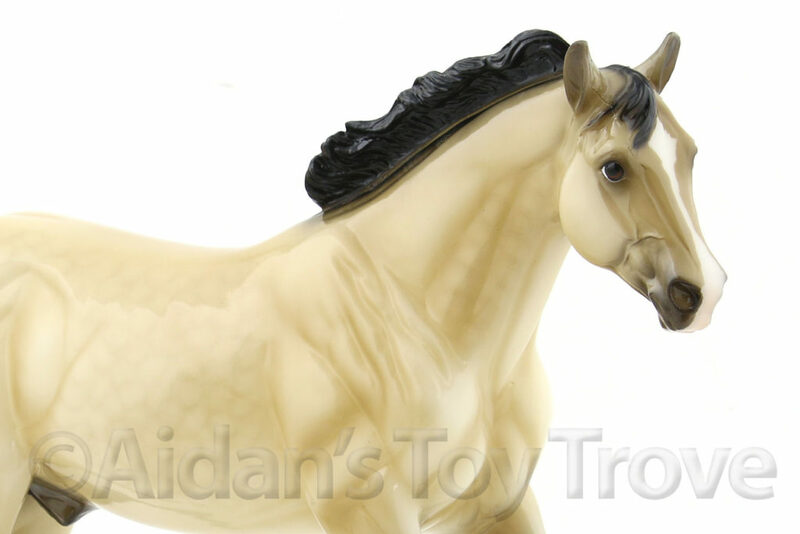 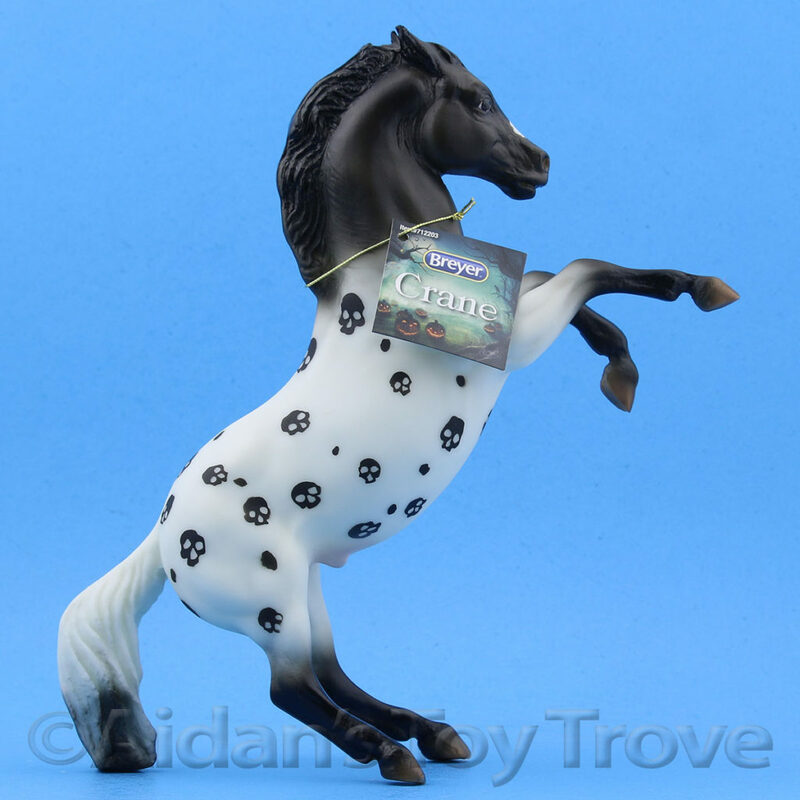 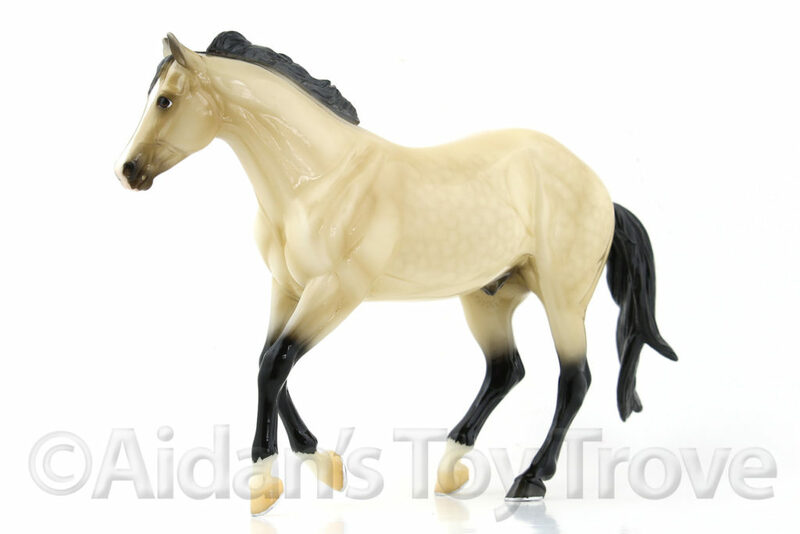 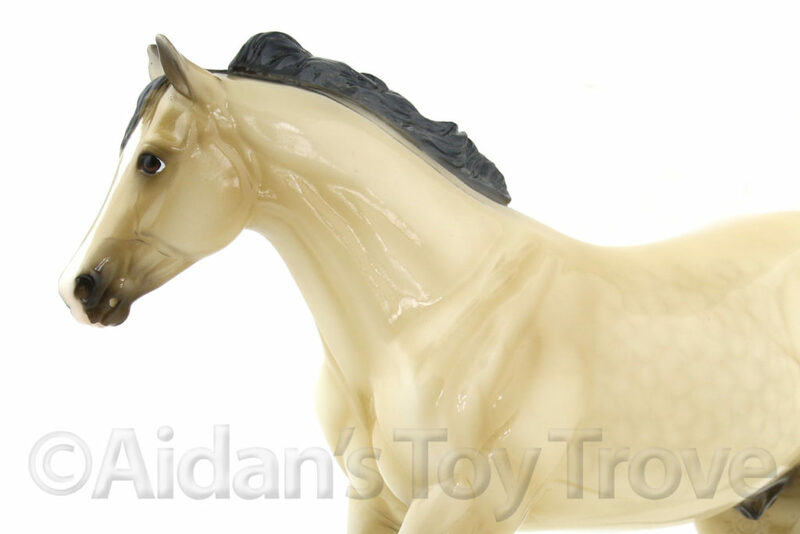 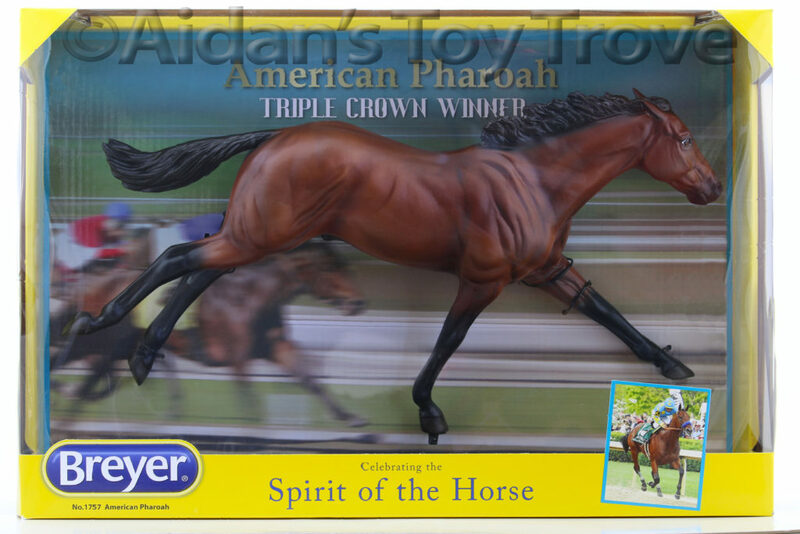 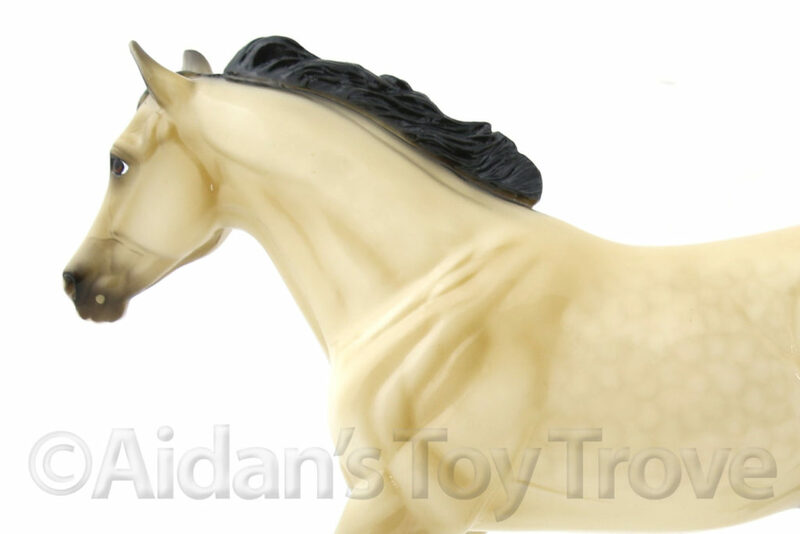 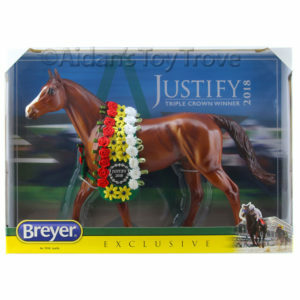 The Breyer Bollywood Surprise Glossy Buckskin is in factory mint condition. 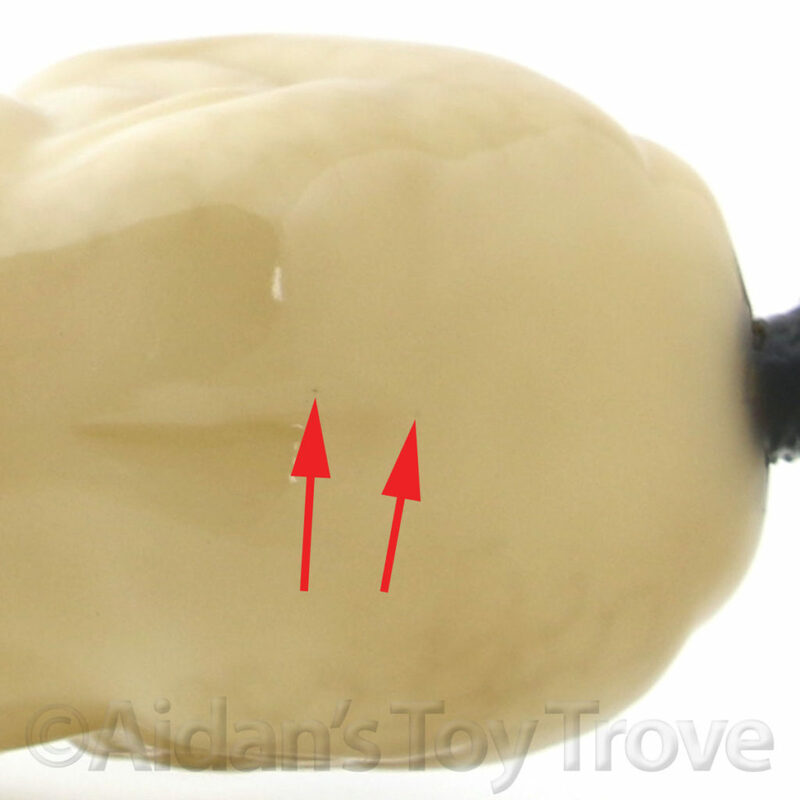 However, I noted a few very minor factory flaws. 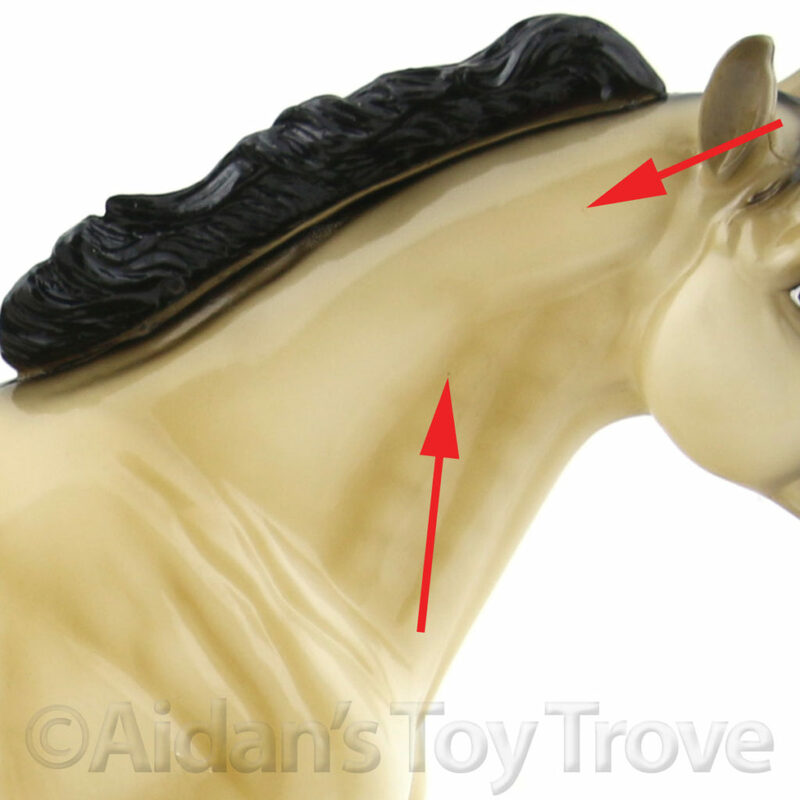 He has 2 faint darker dots on his upper right neck. 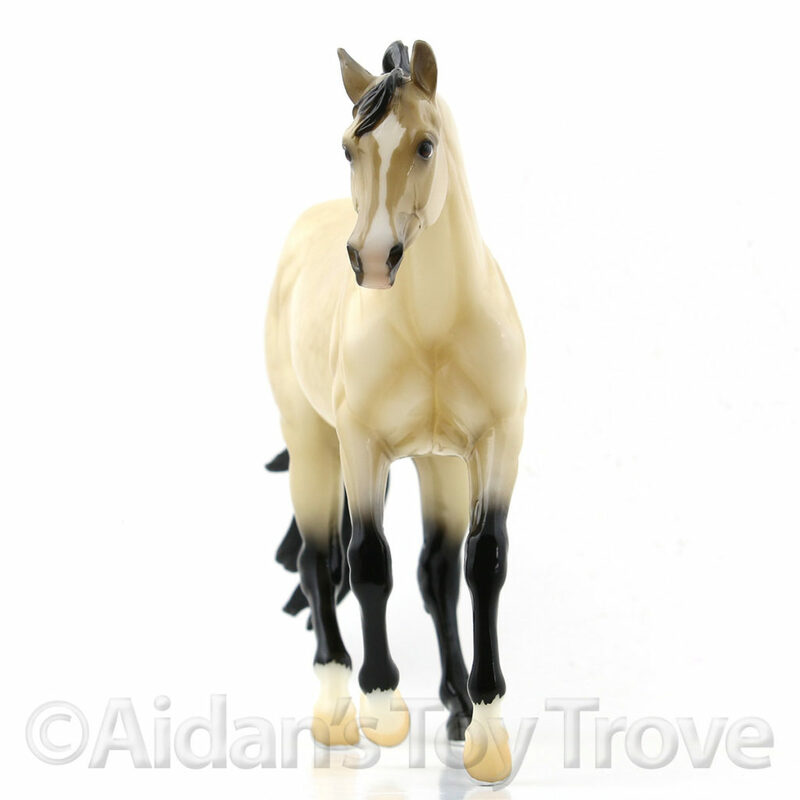 He has possible near invisible paint scuff on his left hind stifle. 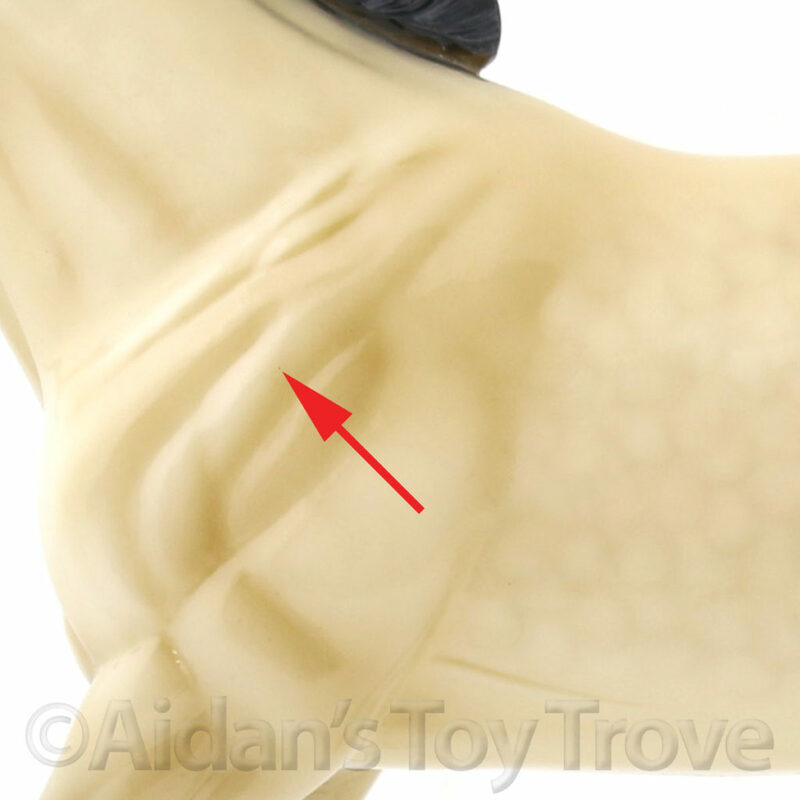 He has a couple of tiny specks of lint on the top of his rump and on his left shoulder. 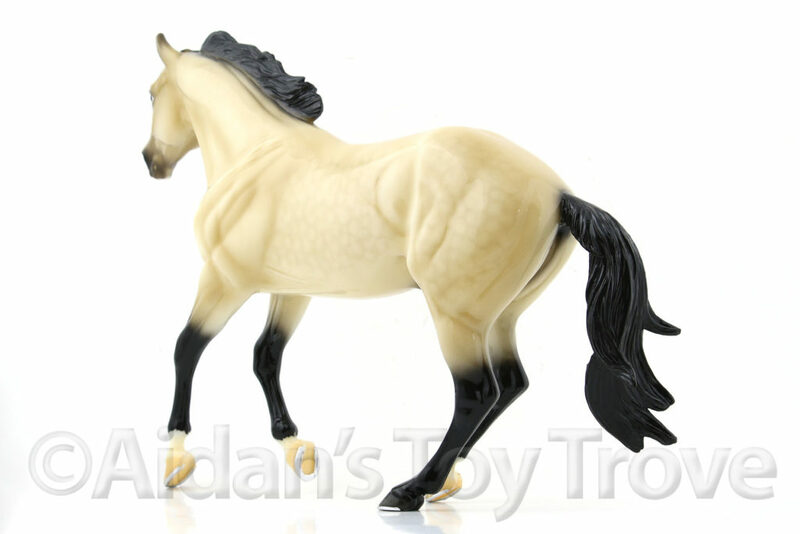 I personally would classify this horse as LSQ. 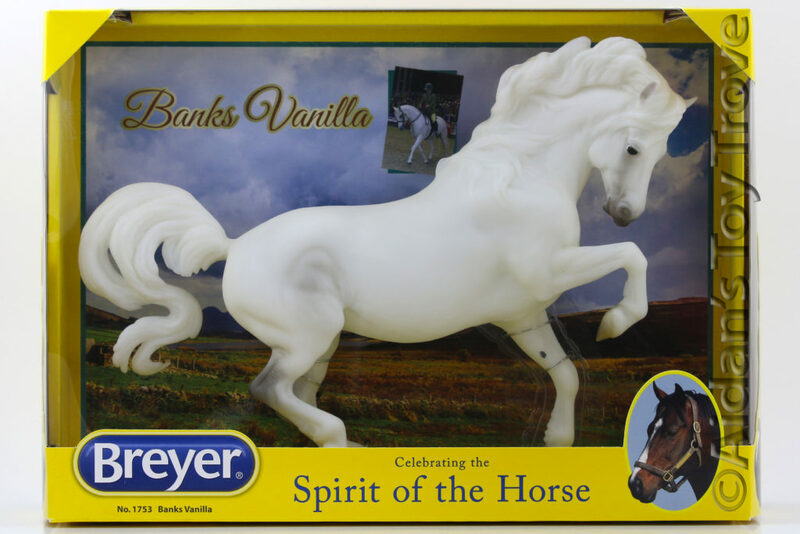 However, your opinion may differ. 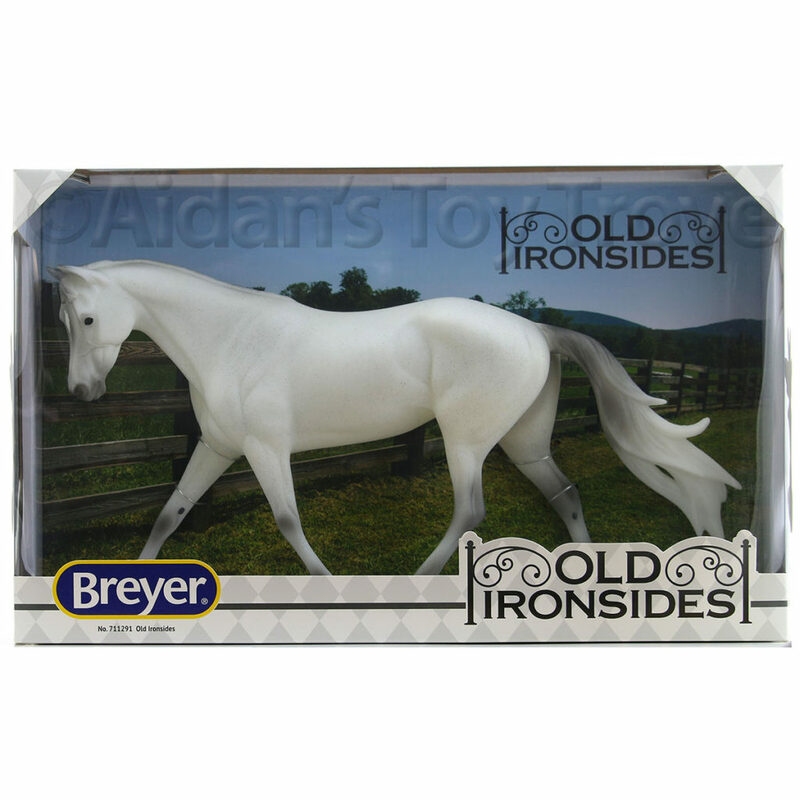 This horse was opened for inspection only and immediately rewrapped in his original packaging. 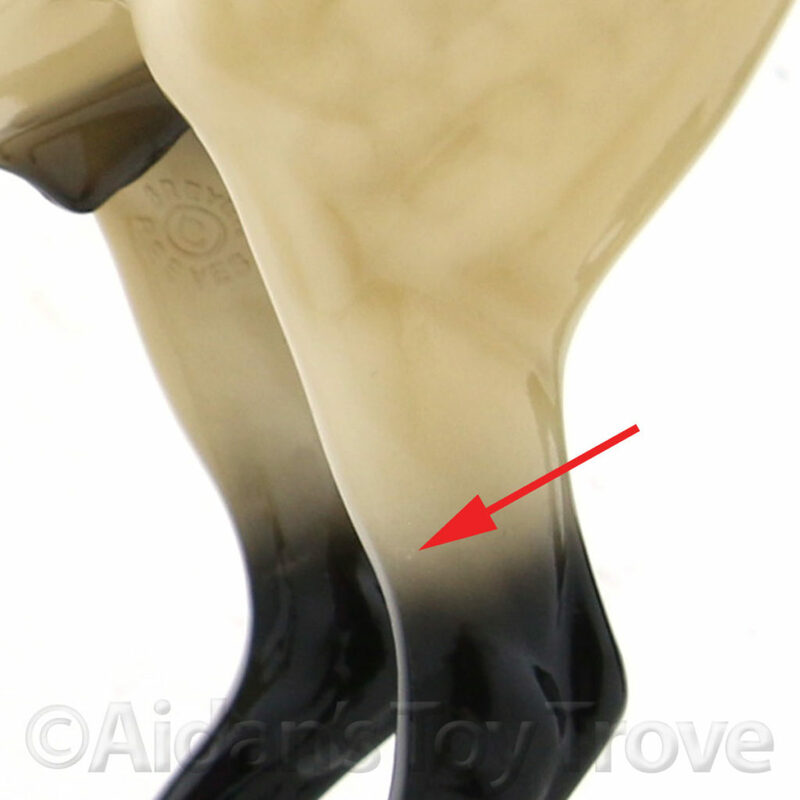 Please refer to the pictures for the exact condition. 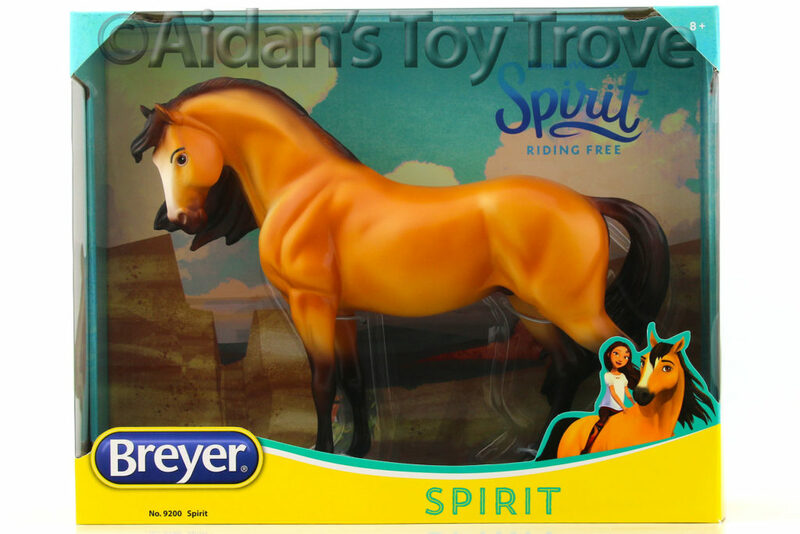 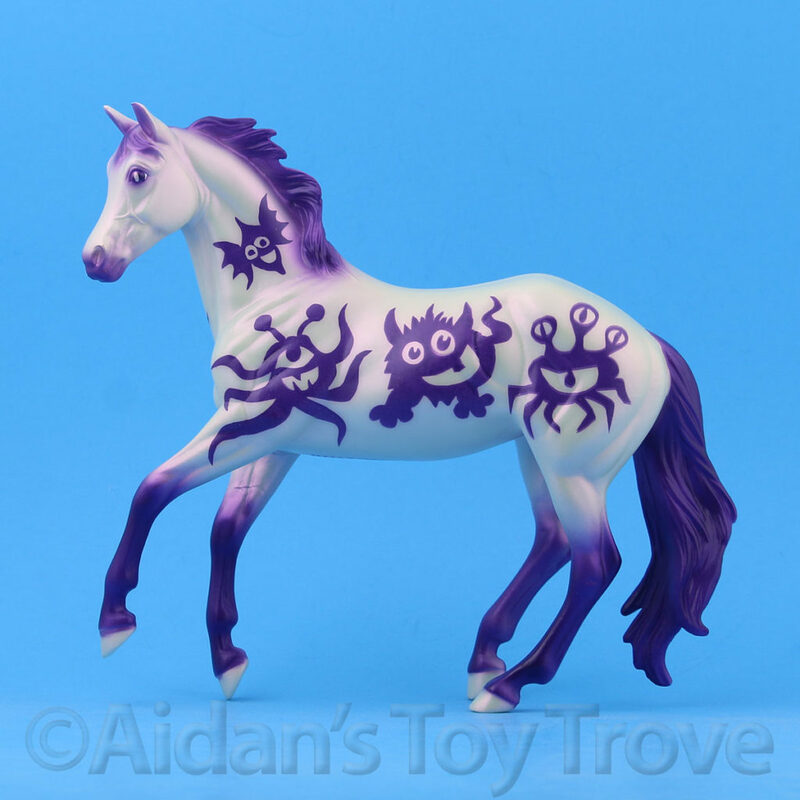 You will receive the exact horse pictured. 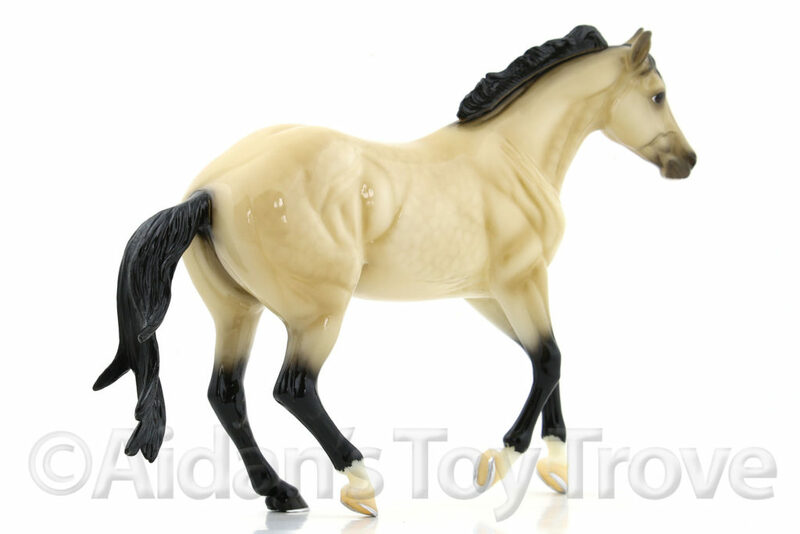 For my reference, this is #711257GlossyBuckskinBVA.